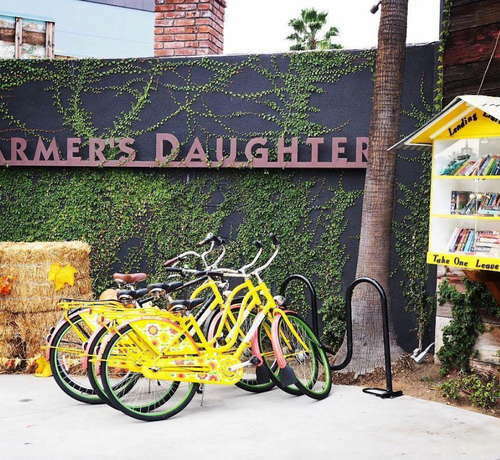 Fun, flirty, and downright funky, the Farmer’s Daughter is by no means your typical LA hotel. Here, 20 and 30-something creative types mix and mingle among the elaborate art pieces, scrumptious restaurant, and an Instagrammable pool. The hotel encourages community and offers its guests loads of lounge space and decorative design to bring about an enriching LA stay. 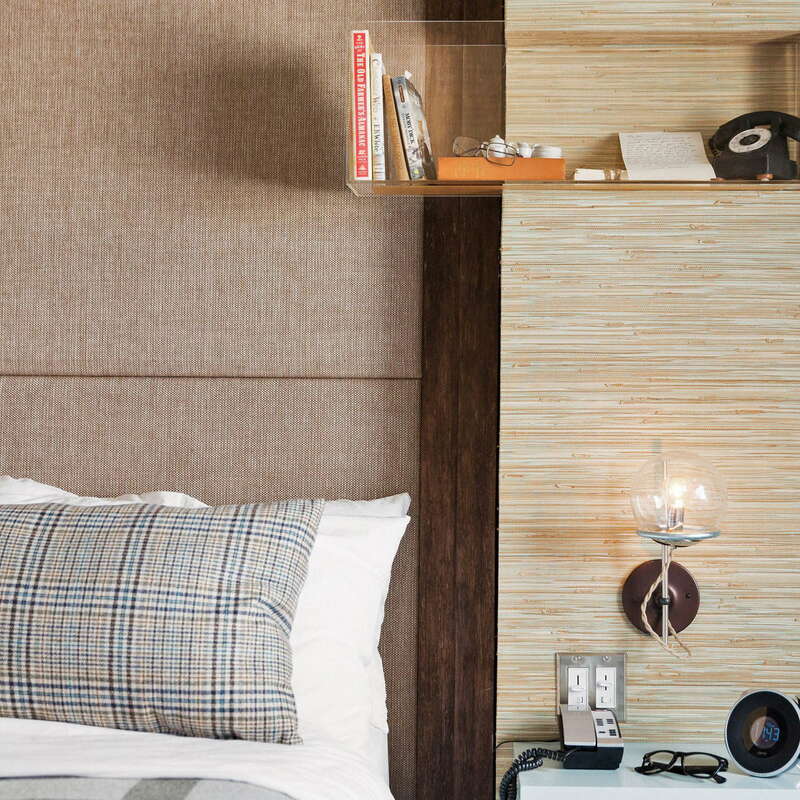 Want to curl up with a book? Check out the lending library in the front of the hotel. 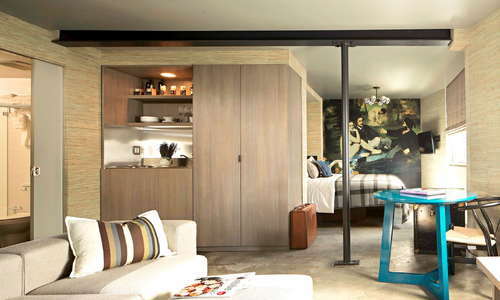 Ask to see more than one room (if available), as each combine playful art touches with innovative amenities. 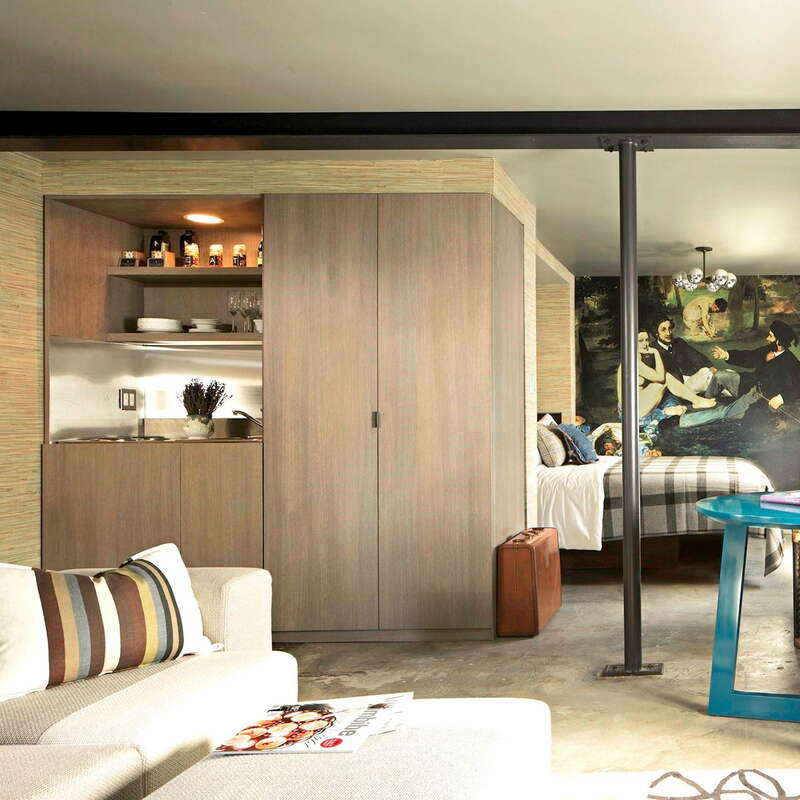 Rooms are designed to encourage socializing with ample sitting spaces among the modern concrete floors. 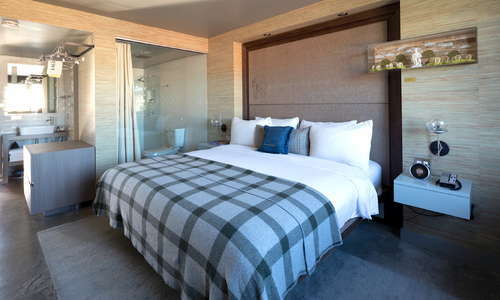 Check out the unique art boxes and Pendleton blankets, and sip on coffee with friends with in-room Nespresso machines. 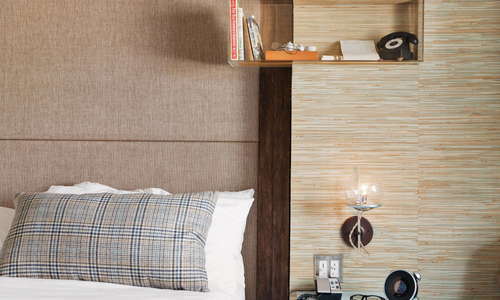 If you book directly with the hotel, you'll receive lots of goodies like slippers, cookies, champagne, and 10% off at Tart--the hotel's restaurant. Subway tiles don the walls against raised sinks and shower/tub combos. For amorous lodgers, there are peek-a-boo bathrooms in some rooms, while all feature CO Bigelow bath products. 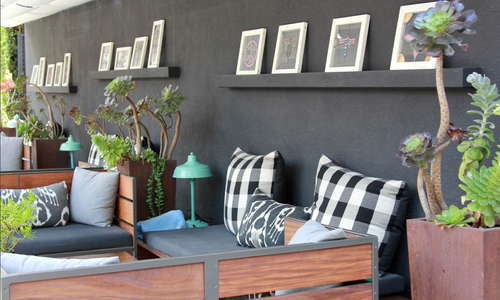 The lobby is filled with kitschy touches, a quirky gift shop, and gray leather banquettes for lounging. 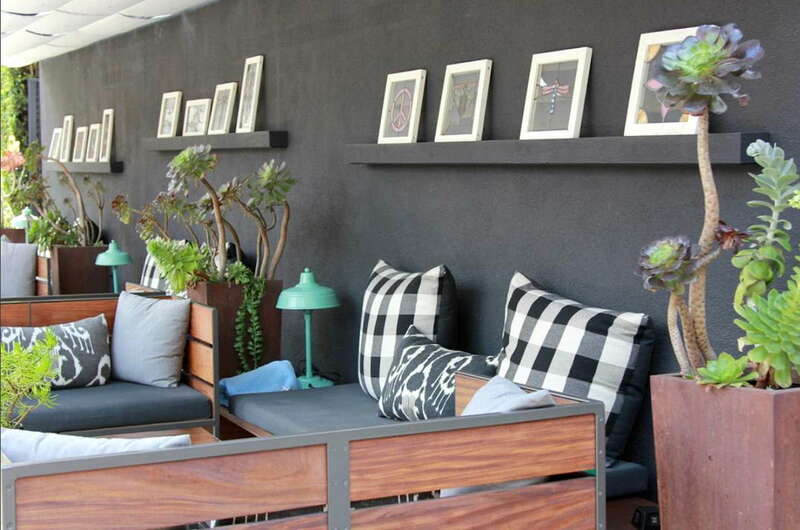 Rustic wood accents adorn the walls and playful parakeets are also there to welcome you to your stay. 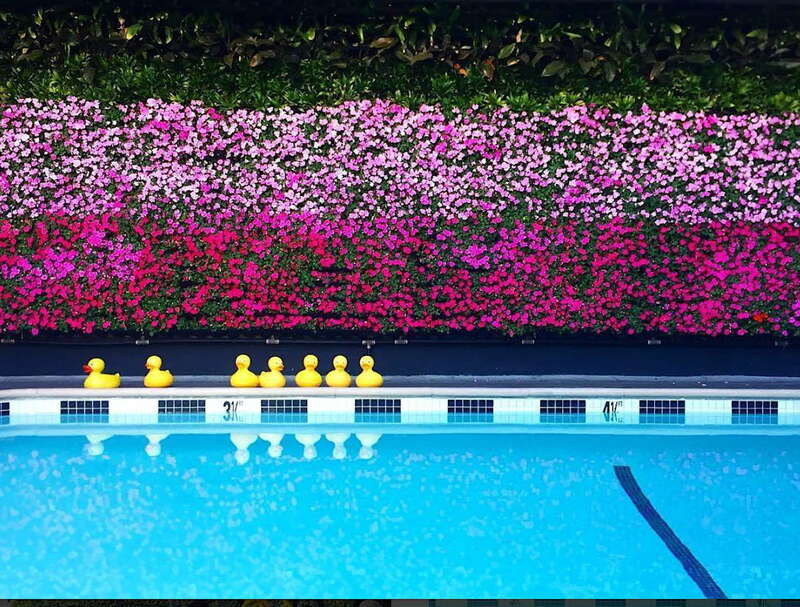 There’s a whiskey hour every day in the lobby at 5 p.m.
A living wall braces the back of the pool and giant rubber duckies are cute appointments for the kid at heart. There’s also a ping-pong table in the back. 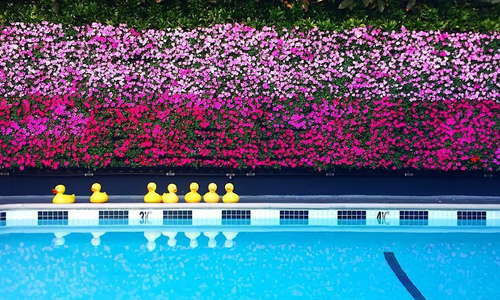 If you jump in the pool with your clothes on, you’ll get 50% off brunch at hotel restaurant Tart. If you jump in with your cell phone, brunch is on the house! Enjoy your brunch and forget about how you probably have to buy a new cell phone now! There’s no gym but with the hotel service fee, customers will have access to on-site yoga, membership to Eaton Gym, and bike rentals. Tart is the hotel’s signature eatery and serves an eclectic menu for breakfast, lunch, and dinner. Brown leather banquettes line the outdoor patio and there’s an enormous fireplace for cozying up on cool LA nights. Check out the bathrooms where small peepholes unveil seductive ladies. 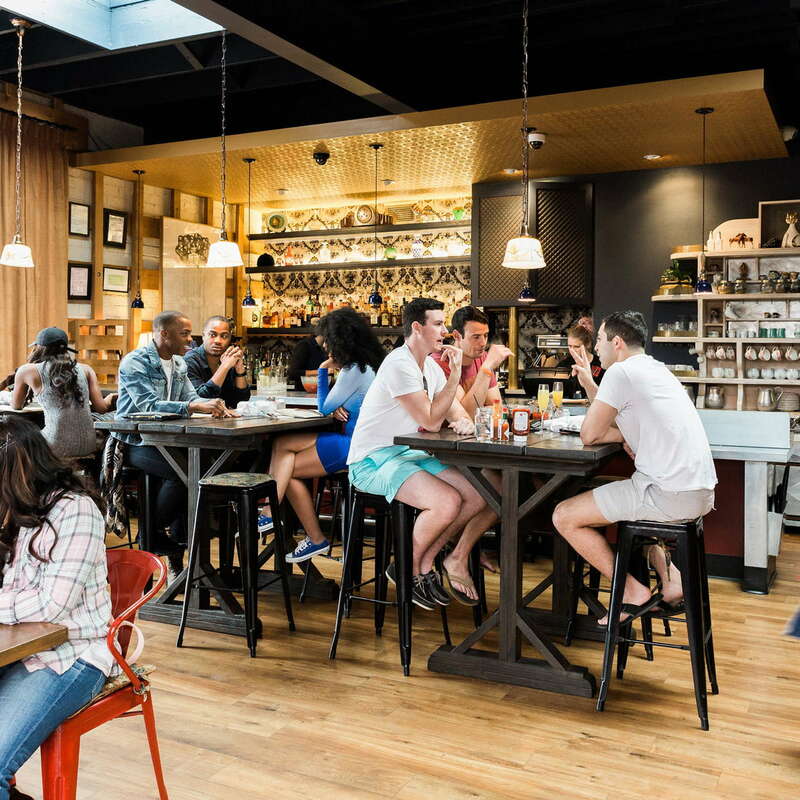 Happy hour at Tart is from 4 p.m. to 7 p.m. and drinkers can challenge each other on the foosball table or dip their toes in the pool with wine in hand. A great area for walking, guests will be treated to the boutiques, restaurants, and bars of Third Street, Beverly Boulevard, and Fairfax Avenue. There is never a shortage of Uber or Lyft drivers, and starting in 2018, a metro stop will be featured across the street from LACMA for easy access to the rest of the city. 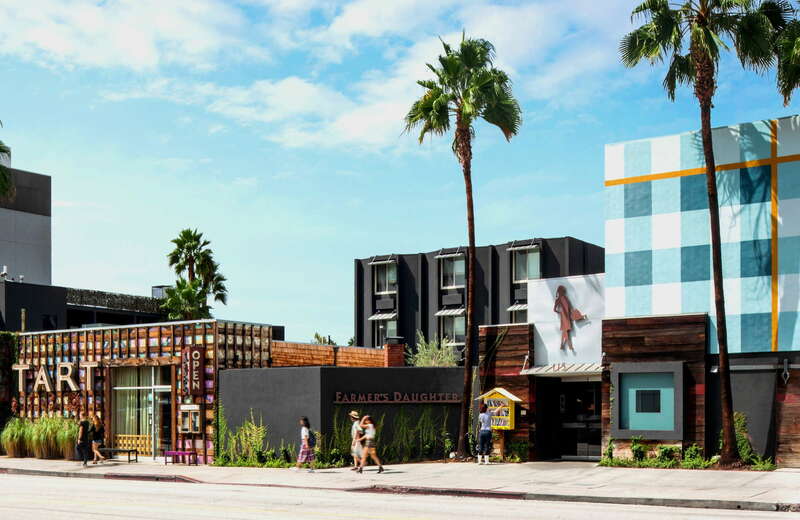 Set on ever-bustling Fairfax Ave. Tart is in an ideal area for eating, drinking, and shopping. 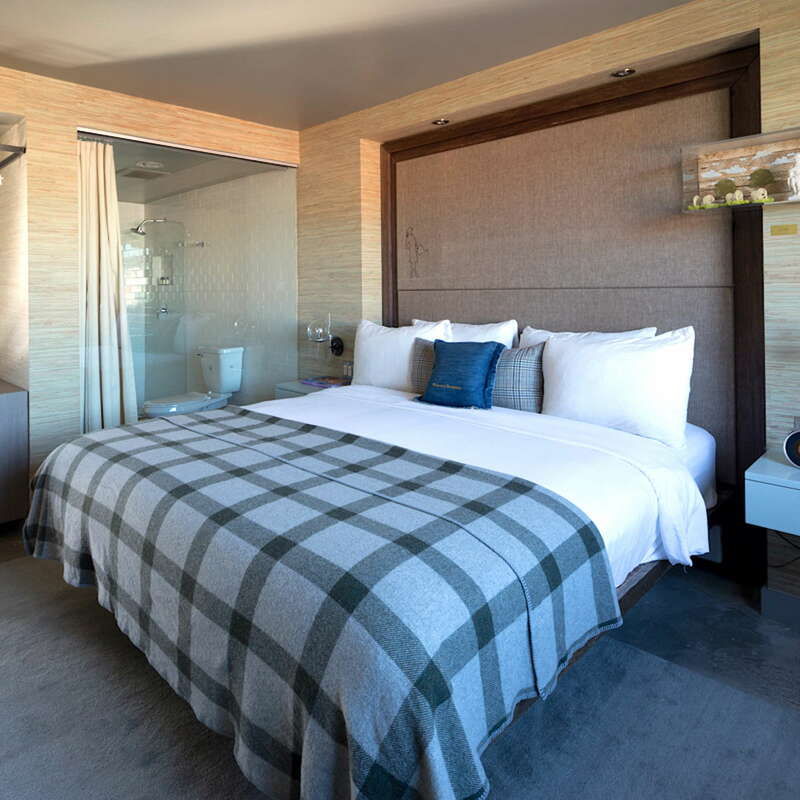 The hotel is across the street from the Grove shopping complex and walking distance to major LA attractions. The area is safe, busy, and energetic. The Farmers Market (2-minute walk) has dozens of restaurants from Mediterranean to Mexican to Greek to choose from. Up Fairfax, try Jon and Vinny’s for unreal Italian with homemade pasta. The Dime (10-minute walk) is a miniscule bar with great cocktails and a healthy happy hour from 7- p.m. to 10 p.m. Molly Malone’s Irish Pub (10-minute walk) is south of the hotel and features regular live music and hearty pints of Guinness. Quirky in all the best ways, the Farmers Daughter was designed to be fun and flirty and succeeds on all levels. The bar and restaurant are incredibly communal and the rooms are unique in style and substance. 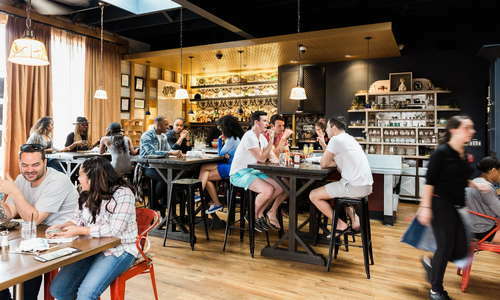 There’s no gym or spa, but you have plenty of options in the neighborhood if you need your fix. Centrally located, you won’t need a car and will find yourself wanting more days to try the incredible restaurants all within walking distance.